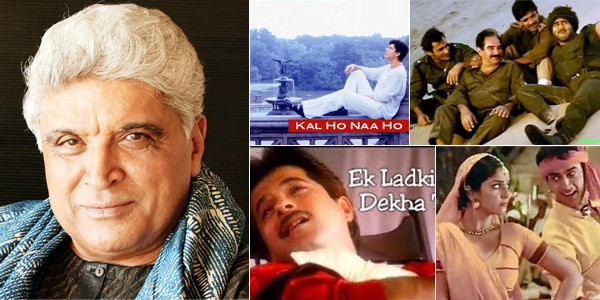 Raaga.com: Eminent Bollywood script writer turn lyricist Javed Akhtar turns 71! Eminent Bollywood script writer turn lyricist Javed Akhtar turns 71! Remember the hits songs “Ae dil-e-nadaan…’ (RAZIA SULTAN), “Yeh dil unki aur nigahon ke saaye” (PREM PARBAT), Piya Piya Piya Meraa Jiya Pukare (BAAP RE BAAP) etc. Any guess who has written these songs? Well they are all penned by eminent Urdu poet and film lyricist Jan Nisar Akhtar, father of renowned contemporary lyricist Javed Akhtar, who got his early lesson in poetry from his father. “Many a times he would go underground for his hard-hitting neo realistic poetry attacking the capitalists and the government for the rights of the deprived. As a result I and my sibling had to stay alone with my mother in penury,” he informs. Interestingly while Javed’s father never obliged to film producers for writing cheap lyrics, Javed did compromise and wrote raunchy lyrics like Ek Do Teen… (TEZAAB), Kaate nahi kat te…(MR.INDIA) etc. True, Javed Sahab! Raaga.Com wishes you Birthday greeting on your 71th birthday and hope you keep the tradition of genuine poetry alive!! !